This is still the best arcade racer 10 years later. Some aspects haven't translated to the modern systems but the core mechanics and the thought put into the many systems and the overworld make this game an absolute master class of driving games. Nobody could do arcade racing like Criterion. The takedown mode is still intact and fun as always, but the new sandbox made the game hard to put down until you'd discovered every nook and cranny of the world, bashed in every yellow gate and billboard, found all of the jumps and secrets. Really great. Best racing SIM ever. Crashing has never looked so spectacular. Open world racing at it's finest. Multiplayer had challenges that made free roaming with friends very enjoyable. Biggest downside is no standard crash mode. 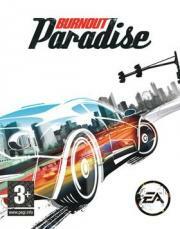 A great arcade racing game that unfortunately was the last we've seen of the always fun Burnout franchise. It features a lot of cars and a fun open world environment where you are just as likely to find yourself driving round the city than actually doing the races. Biggest flaw is that if you happen to want to start race over because of a bad start or that you know you are going to lose it's not convenient. You have to drive all the way back to the start line's location. it felt like i was playing a goddamn advertisement.